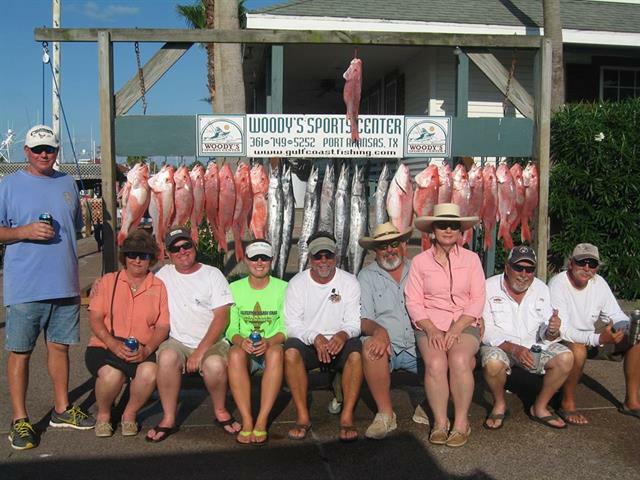 Woody’s Sports Center is the one-stop headquarters for your fishing needs. We offer a full line of bait and tackle for bay or offshore. We are the “Live Bait Capital”. Our other amenities include, sportswear, fuel and sundries for your “on the water” adventure. Bring your friends for a group outing on one of the charter boats. If fishing is not your game, we also have parasailing, jet boat, boat rides or just relaxing and watching the boats and people come and go. We host many private and open fishing tournaments every year. If you are planning a group outing, let us help you produce a first class event. And don’t forget to stop by The Back Porch Bar when you’re ready to call it a day!